There was a whole in my heart until I discovered SLOVEnia! Slovenia is a small country but has many great things to visit. 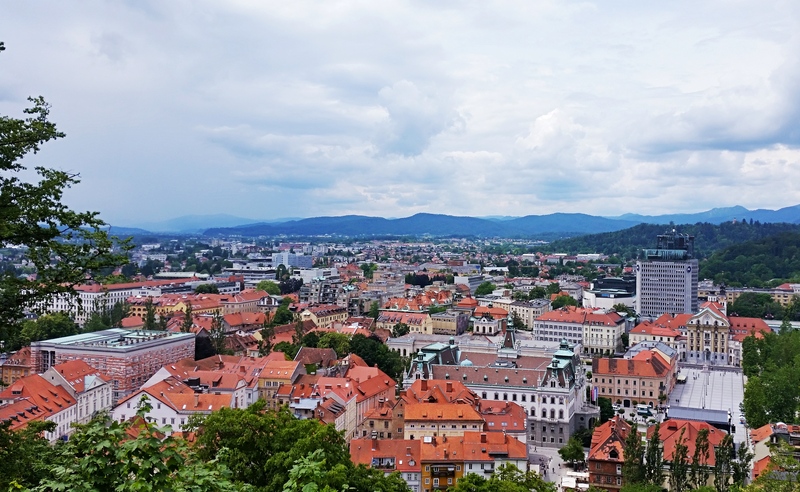 Of course, one place you need to see first is the capital city of Ljubljana. Small, cosy, full of hidden gems to discover. Make sure to check out my tips and trips for 1-month budget travelling in Europe! The city has an impressive old city centre, full of bars and restaurants, like most of the old European cities. And right next to the city centre, in the heart of the city, there is an old castle, which was originally a medieval castle. The atmosphere of the city is quiet and chill, which makes it worth a visit, especially if you love that old historical city centre type of place. By wandering around the streets, you may feel the need to stop every 10m to take photos, especially if you are near the canal of the Ljubljanica River. There are also so many restaurants, bars and gelato shops, which are all so good looking, that is nearly impossible to not stop at one of them. There are also street artists, which can be amazing when they locate themselves in such great background. 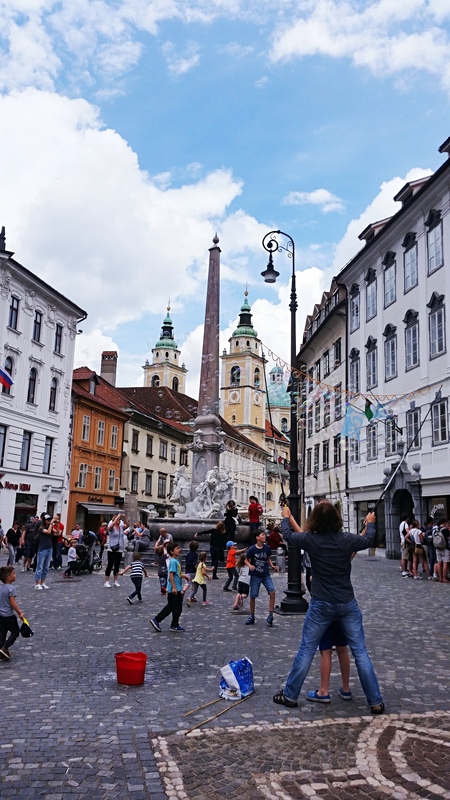 No matter in which corner of the street you are, you will be surprised by the architecture, which is a wonderful succession of time, immortalized in Ljubljana’s buildings, like a history book of architecture. From Roman architecture, it goes to a medieval line, which was rebuilt in a Baroque style, mostly inspired by the more southern territories, like Venice and then a pinch of the Vienna Secession movement. Even a touristic eye can see the different styles which now stand together as Slovenia’s capital city. Ljubljana Castle is a medieval castle, build on a hill in the heart of the city. It’s tower was build to ensure a further view, beyond the borders of the city, so that the guard inside can see and announce the population fires or guest approaching the city. Apparently, the tower still holds on to those functions till this day. There are a few ways to reach the castle: a couple of forest paths for pedestrians, a car way and a funicular which was build 1o years ago. The hill offers an amazing view over the city. And if you made it to Slovenia, you can’t miss a visit to Lake Bled and a few days on the amazing seaside of Slovenia. Am inteles ce ai scris , foarte frumoasa descrierea . Bravo !